Keeping vulnerable and older people moving in Whitstable, with a fleet of volunteer drivers. 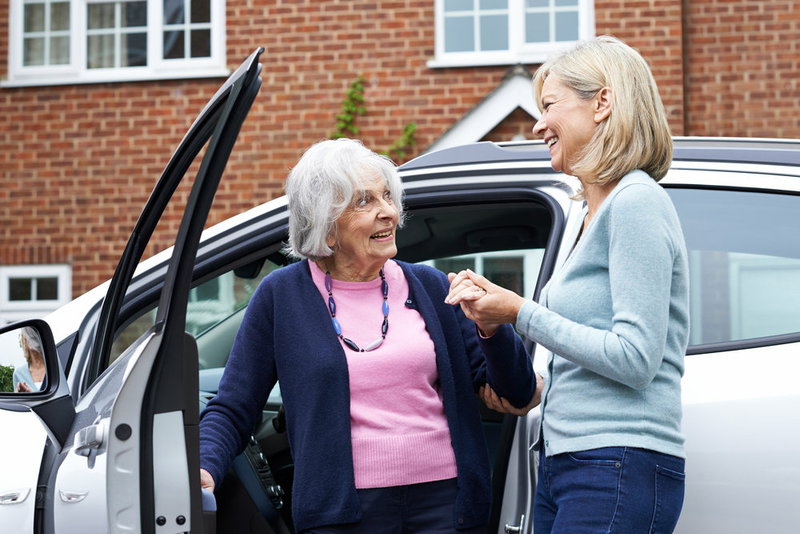 Red Zebra’s local Volunteer Car Service enables people who find it difficult to use public transport, either through age or a need for special assistance, to attend essential health appointments and where resources allow, shopping trips or social excursions. With over 40 volunteers the service is well used across Whitstable, helping people to maintain their independence for as long as possible. All volunteer drivers are DBS checked and insured. When you first contact us we take a few personal details that will allow us to provide the specific service you require. For example if you are a wheelchair user we will link you to a driver who is physically able to help lift this and has a car large enough to carry it. When you want to arrange your journey telephone us on: 01227 271111 Please call us during office hours. Our volunteers are available to take your calls: Monday – Friday between 10am–12.30pm. We will locate a driver and call you back with the driver’s name and the time they will pick you up. Please note the booking is not confirmed until we have called you back with this information. We would ask that you try to give us at least 3-days’ notice when making a booking and at least 24-hours notice when cancelling a booking. All information provided will be held securely at the Red Zebra head office and will be kept entirely confidential; however, we may need to pass on your telephone number to our driver, so he or she can contact you regarding your journey. To use the scheme you must first pay a membership registration fee of £10 per person (or £15 per couple) If you join the scheme between 1st July – 31st December the fee will be halved. Journeys are charged at 45p per mile (Minimum charge £6.50 which includes a £2 administration fee). This is calculated from the driver’s house, picking you up, your journey and return (if applicable). If you require a return journey and the driver has to wait up to 2 hours there is no charge. However, if the wait is longer then you will be charged for each journey separately. You pay the driver at the end of the journey and he/she will get £2 back to the centre. Please note that clients are responsible for paying all parking charges. We always try to use drivers close to you to keep costs to a minimum. Please ask if you would like an estimate for your journey. To arrange a journey, call us on 01227 271111 Monday – Friday between 10am–12.30pm.